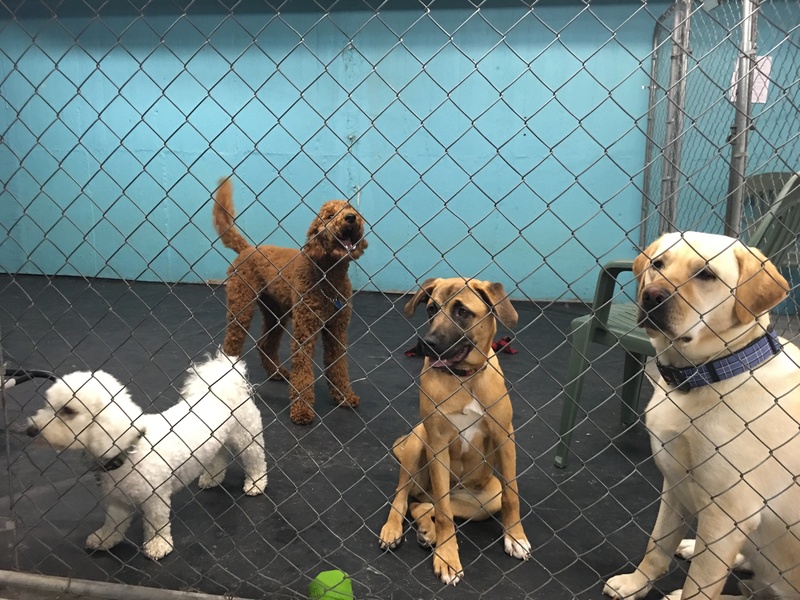 Monday through Friday, from 8 a.m. to 6 p.m., your dog can enjoy the company of other friendly happy dogs in a playful pack (we call it “Doggie Playcare”) in our all-indoor basement daycare facility. You are welcome to tour the facility at any time during business hours. Because we are an all-indoor space, our prices are the lowest on the North Shore! We keep it small with a pack of only 15 or less dogs a day. We do fill up sometimes, so we recommend that you reserve your spots in advance by calling 847-LUV-DOGS (847-588-3647) to set the dates you wish. NOTE: As we enter our busier fall/winter season, we expect our popular all-indoor daycare will reach maximum capacity on more days. We strongly recommend that you book your daycare reservations in advance. We cannot guarantee space without reservation. 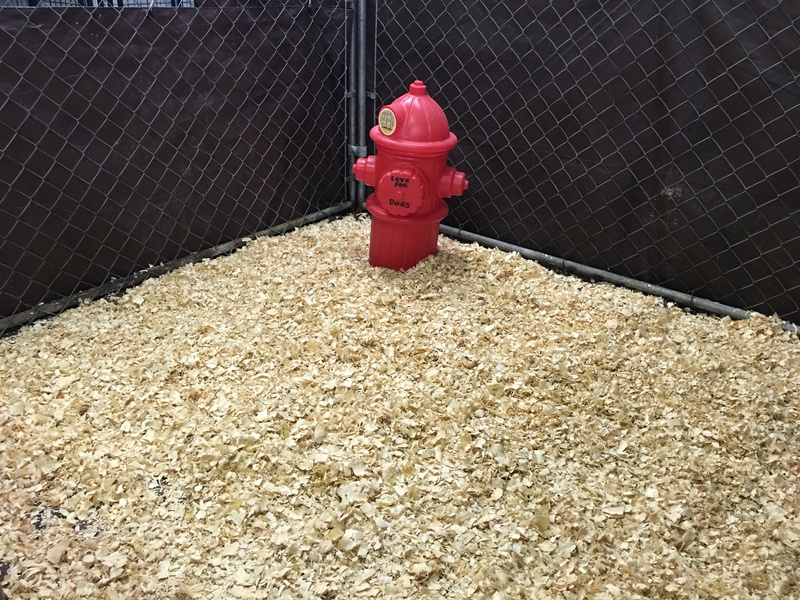 We have a huge rubber floored playroom – almost 1500 square feet – with two indoor potty yards, a canine treadmill, lots of toys, and trained professional staff playing with them all day, keeping them happily socialized and well-exercised. They each have a comfy bed for nap time. 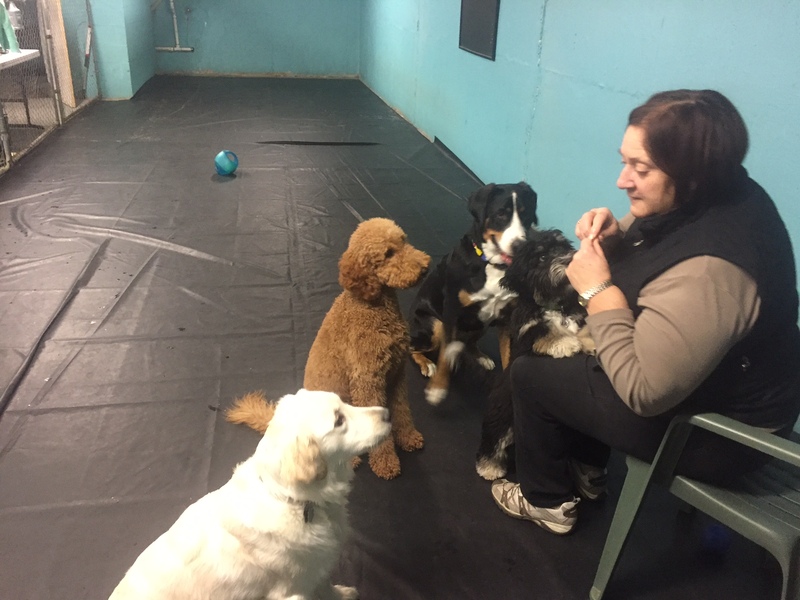 Our wonderful Daycare Director Carol also works on training and good behavior in groups for your Best Friend. The dogs all get to know each other very well and have an absolute BLAST playing together! We are always SO happy to see how excited they are each morning to get down to play with their friends all day. They literally race to get down there, they love it so much. And it is so gratifying to hear from our grateful pet parents how blissfully tired they all are in the evening when they come home and collapse for a long, deep sleep after the day’s romp. 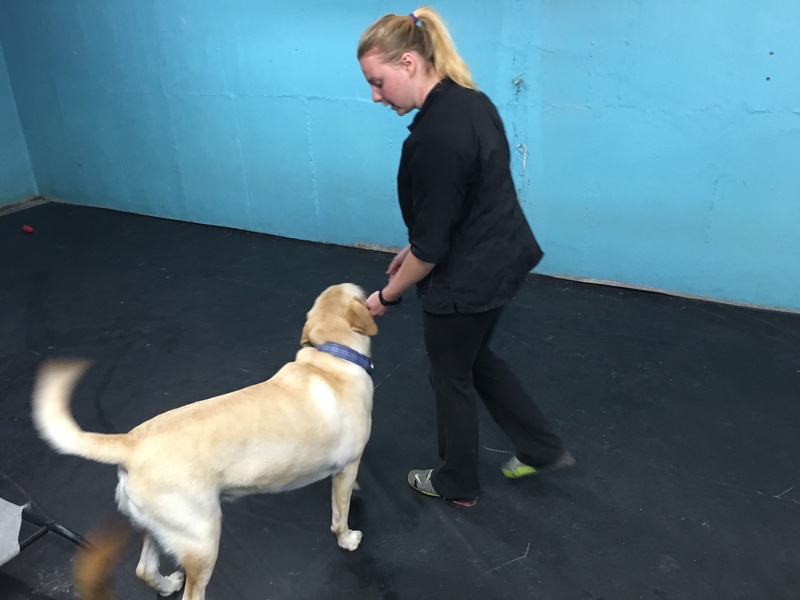 We do reserve the right to evaluate your pet’s individual temperament as it interacts with the group, and suggest alternative daycare places if the mix at our facility is not a good one. All daycare facilities will do that. But even if there is a problem, we can still watch your Best Friend upstairs for the day if you need a sitter – and take them for regular walks and a good stint on the treadmill for exercise. Our daycare dogs are truly a PACK! They love interacting with each other. They welcome newcomers, young and old. Set a playdate for your Best Friend today!